I also know it has been 10 months since our honeymoon (and 10 months of marriage too, yay!) but I still have this last bit to post about the trip before I finally move on. Talk about being stuck in the past but I feel it’s quite important for me to share this to fellow readers who intend to travel to Iceland! 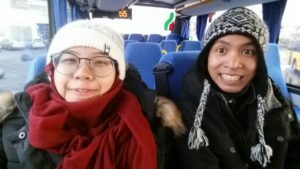 Iceland was our first adventure together as a couple. And because it was our very first, we had to learn each other’s travel style along the way. Turns out that we’re both pretty laid back and prefer to go with the flow, so it was inevitable that we made plenty of blunders – some pretty costly ones too! Learnt our lessons the hard way, we did. 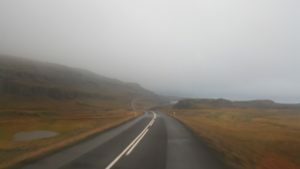 Here’s a list of mistakes to avoid should you decide to go Iceland on a road trip in a campervan like us. If you’ve read my previous post (if you haven’t, click HERE! ), you’d know that we didn’t plan much for the trip. There’s nothing wrong with getting lost and finding hidden gems around the corner (I’m a fan of this!). 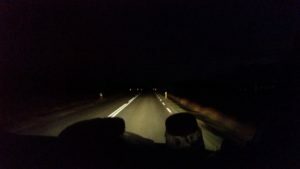 However, in Iceland, unless you’ve lost your way in any of the towns (which is impossible because the towns are quite small), it can get pretty daunting if you get lost on the road. Imagine this – you’ve driven for hours on long stretches of empty roads with nobody in sight. It’s getting really dark and the weather is erratic, the wind is howling and it suddenly starts to get really foggy. You need the toilet really badly but the GPS indicates that the nearest rest stop is another 30KM away. And when you finally arrive, the place is closed for winter. Yeah, so that happened to us the very first night. We didn’t take note of the available campsites on the Golden Circle route beforehand so we had no idea where to go for the night and ended up parking at some swimming complex. We made sure to check visiticeland.com for accommodation the next few nights. Listening to instructions should be simple enough, right? However, in the midst our excitement, we managed to end up on the road that the GoCampers staff had advised us to avoid. The staff had even crossed it out on the physical map but our reliance on the GPS had led us to go through this shortcut up in the highlands. Sure, Oxi Pass was an amazing road with amazing sights but it was a pretty daunting experience (which you can read all about it here) and we were lucky the weather conditions were good. It’s definitely a road safer to go during summer. You also need to be sure what roads your vehicle can be driven on. Our van wasn’t a 4×4 so we couldn’t go off-road, and thankfully we weren’t silly enough to do that. 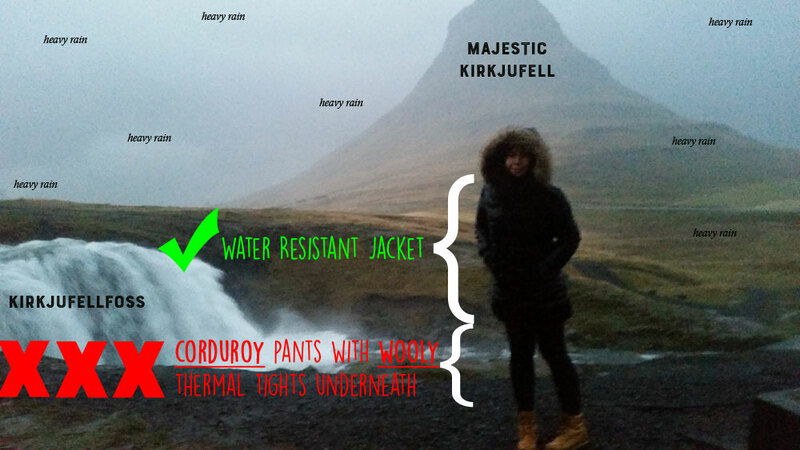 Though Iceland’s weather is famous for its unpredictability, you can still get a good gauge for at least a few hours. It’s also important to check for any road closures. We didn’t check but apart from getting caught in bad weather a fair bit, we were lucky enough not to encounter any major road closures. You can check the weather forecast here! Continuing from my last point, you definitely cannot trust the weather forecast in the long range. The forecast for the week may show that it’ll be sunny and bright but it’s better to prepare for rainy days too. It’s always good to bring a water-resistant coat, clothes etc. Our winter jackets were pretty water resistant but our pants were not. Our legs were freeeeeeeeezing when we got caught in the rain. Also, please get proper gloves. Mine were the cheap ones you can get on Qoo10 but they were useless lol. Han had to sacrifice his hands and exchange his with mine because he’s my hero. I think this was by far, our silliest mistake we made there. You can probably pin it on inexperience or plain ignorance but we were soooo confident that our camera and phone would survive the wet and cold, especially when we went for the whale tour. (ugh what were we thinking?!) Our DJI Osmo thankfully didn’t die but our Canon DSLR and my Samsung Note 5 died a slow death after the wet, rocky and splashy boat tour. If you don’t fancy splurging on a splash bag, you could also just wrap the camera in a plastic bag like below! There are self-service petrol pumps at almost every gas station in Iceland – some stations only exclusively have self-service pumps with no staff. These pumps will require a 4-digit PIN when you pay with your credit card. We had no idea what our card’s 4-digit PIN was; we weren’t even sure if there was such a PIN. Because of this, we had to drive around town to find full-service gas stations with staff to assist us instead. So, give the bank a call prior to your trip to check! I know after a day of driving and exploring the sights in the cold, all you’d want to do is crashhhh early. But for the sake of catching sight of the Northern Lights (assuming you’re travelling in Fall/Winter season), please don’t! Drink coffee, hold your eyelids up with toothpicks (you know, like Mr Bean), watch a movie, hang out in the common area, just do anything to try to stay up. Please don’t be like us hahaha. We were so tired and cold so we always ended up sleeping at 8PM. I think we missed one or two chances of seeing the Northern Lights at where we were parked for the night. Because we slept early, we were usually up and about by 3AM. You may think hey, that’s ok la right since the early bird catches the worm, after all. BUT NO, DON’T. Trust me, you can’t see sh*t at night. Iceland has such a beautiful landscape that changes as you drive on. Every time we drove in the wee hours, I’ll be wondering how the place looks like in the day. Sigh, I guess I can only keep wondering till the day I get back there, then. 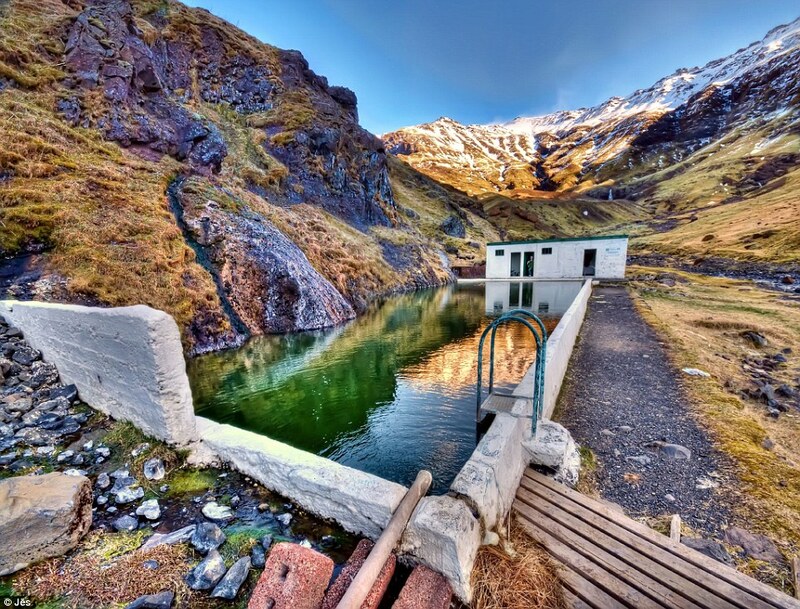 Just because it’s called ICEland doesn’t mean it’s too cold to swim, you know. Okay, even if it does get unbearably cold, all the pools are geothermally heated so that’s a non-issue right there! By not bringing our swimsuits, we missed out the one Icelandic tradition that brings them together, morning, day or night. There are also the beautiful outdoor pools / hot springs that you gotta check out! I’d love to check out the Seljavallalaug pool, if given the chance. This was our most expensive mistake. The travel insurance we had gotten only covered for rental car excess – read: cars. It even explicitly stated that vans were not covered. The winds in Iceland can get really, really strong so you have to be careful not to let it blow open your door. Both of us unfortunately had our doors (driver’s and passenger’s) damaged because of the wind. So imagine my dismay, after we realised that we couldn’t get any of the damage costs covered by insurance at all. Yeah, tough luck. We started off our marriage after that quite poor because the sum wiped quite a fair bit of our savings hahaha. SO YES, there you go – all the rookie mistakes that we made on our honeymoon adventure. It was our virgin trip together after all, so I’m pretty sure we will get better as we go along. 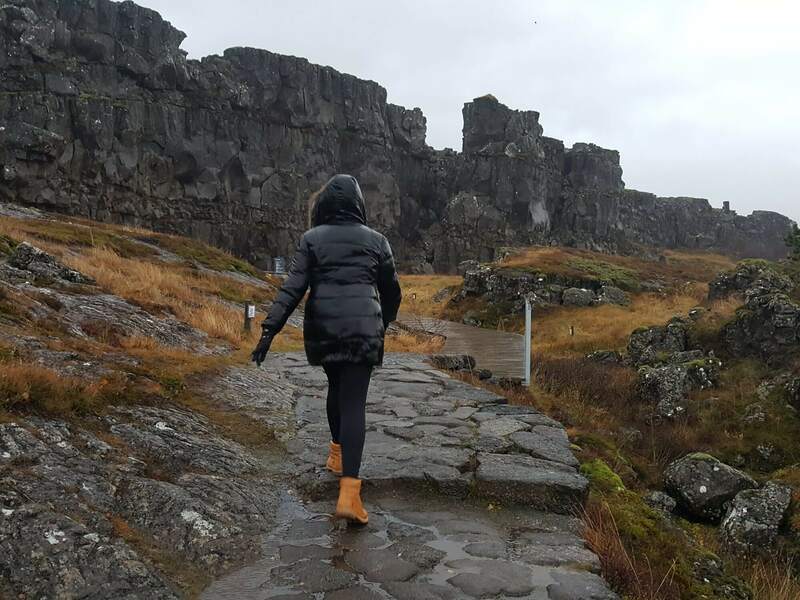 Mistakes happen and they’re there to guide you anyway so despite all these seemingly unfortunate incidents, we still had lots and lots of fun because hey, it’s Iceland! You can’t be unhappy for long when the beauty of nature surrounds you. 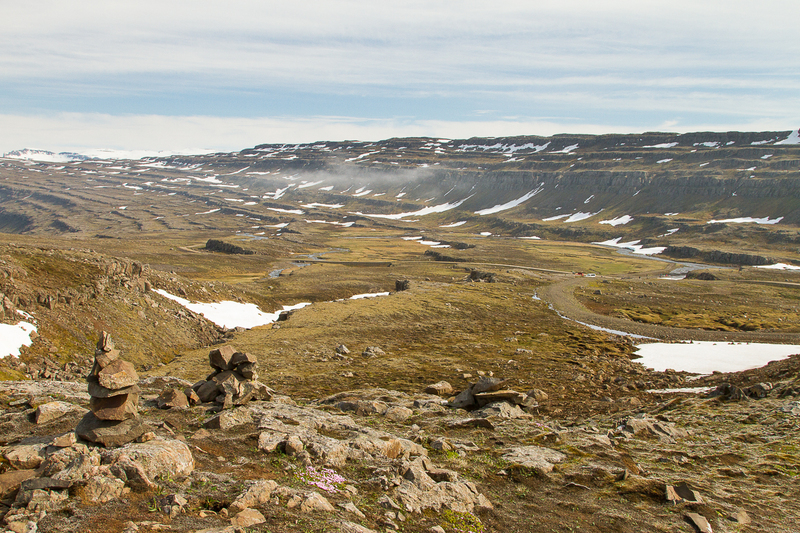 So that’s it, my last post on Iceland, finally! I even completed our travel video for this so go watch below! Shaky footage were taken by moi (because I am a noob like that) but here’s a start to making better travel videos in the future because you gotta start somewhere right?